This isn't the first time I've featured this dress on the blog, but then again, it's been quite a few months so I've last worn it, even I forgot it existed. I love the flower print - very subtle against the navy blue shade. 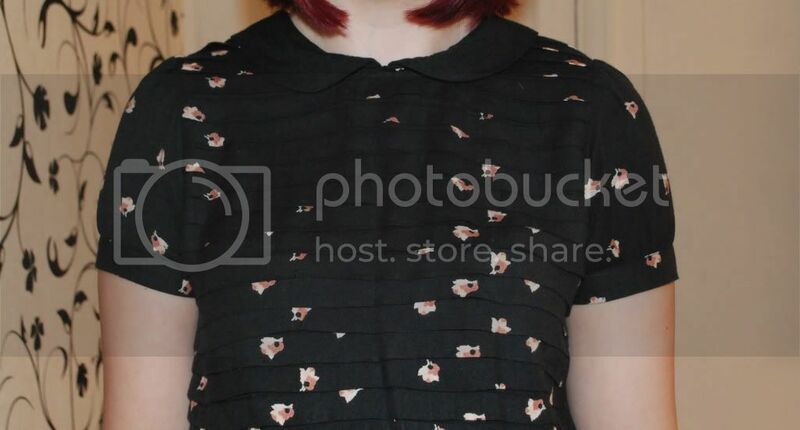 The pleats at the front add a nice bit of detail, along with the peter pan collar (standard blogger love right there)! It's a great length on me so I can get away with just tights or even bare legs on hotter days (I did end up wearing leggings today). It's a lovely, flattering fit, with an elasticated waist. It's definitely one of my favourite Urban Outfitters purchases to date - I forgot just how gorgeous some of the dresses are from that store. Finally got my hair cut and coloured again, as the roots were showing up a lot! I decided to go a bit shorter than before, and I'm glad I did. It makes me a nice change having a 'bob' style cut, as long as I make sure it's volumnised. I got home after work today, and my hair was so flat. Didn't look great. I might have to keep hairspray with me at all times! 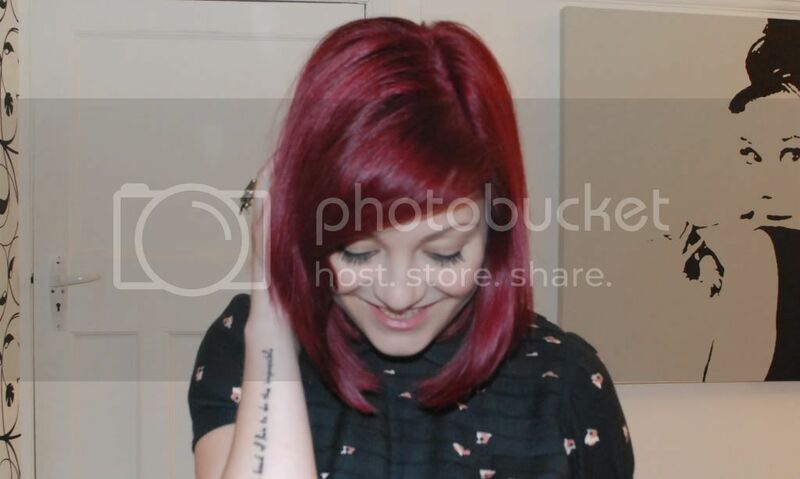 I absolutely love it though, and it's great to get the vibrant colour back! In other news, work is super busy this week but I'm enjoying it. It's a brilliant feeling when you get some great coverage for a client! I'm off to the cinema tonight though with Jess to see... I actually have no idea yet, but we're also having a huge catch up and be reunited with my two favourite men. Ben and Jerry. NOM.